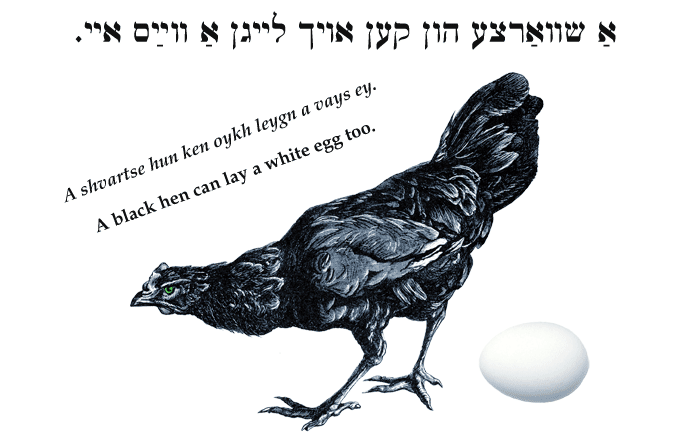 Yiddish Wit: A black hen can lay a white egg too. אַ שוואַרצע הון קען אויך לייגן אַ ווײַס איי. A shvartse hun ken oykh leygn a vays ey. A black hen can lay a white egg too.